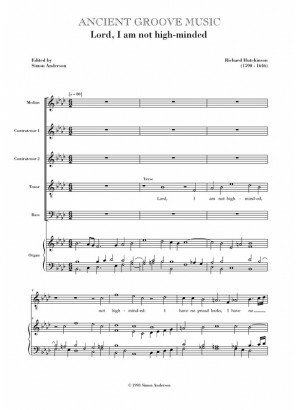 This is Hutchinson's shortest and most successful composition. The humble reproachful nature of the text is excellently captures in the opening verse section for solo tenor. The first of three verse sections has an ornamental cadence which makes rare use of the semiquaver, and suggests that other solos may have been ornamented at the discretion of the singer. The verses are more expressive than the choruses, which are short and a little ‘stiff’. There is a textual discrepancy in the second chorus, with most books giving yea my soul is like a weaned child, and a couple yea my soul is ev'n as... In the final chorus, the medius part divides and the altos unite, retaining the five-part texture. The Amen includes a startling false relation, involving a clash of two beats' duration of minor/major third. Alarming as it sounds, it cannot be explained as a scribal error, as several manuscripts are involved, and in each case a written accidental appears before the note in question. 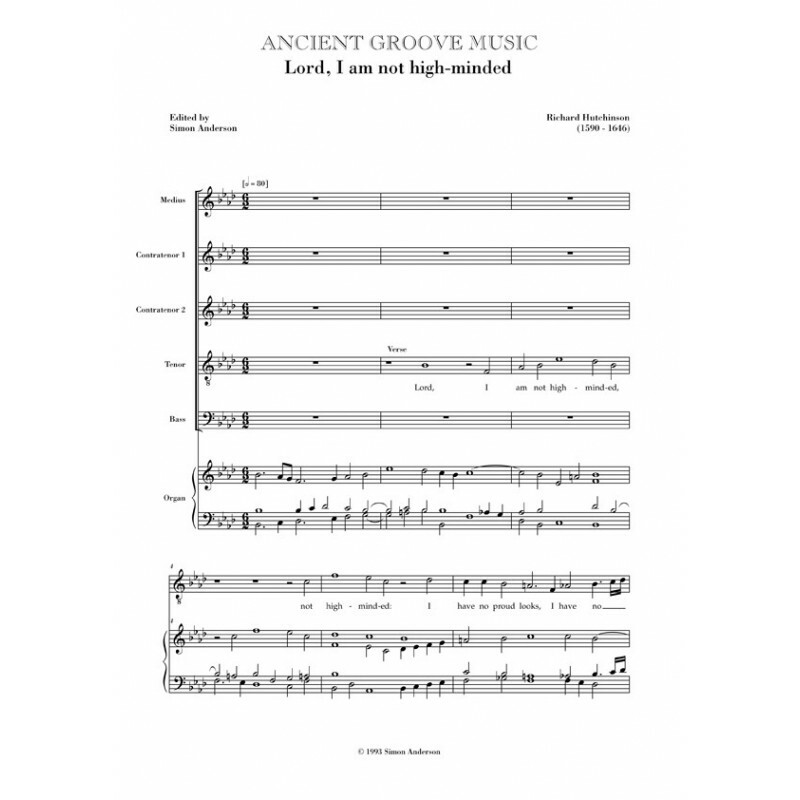 As Lord, I am not high-minded was included in the original corpus of 16th century anthems at Durham, a date of composition no later than 1630 can be deduced.